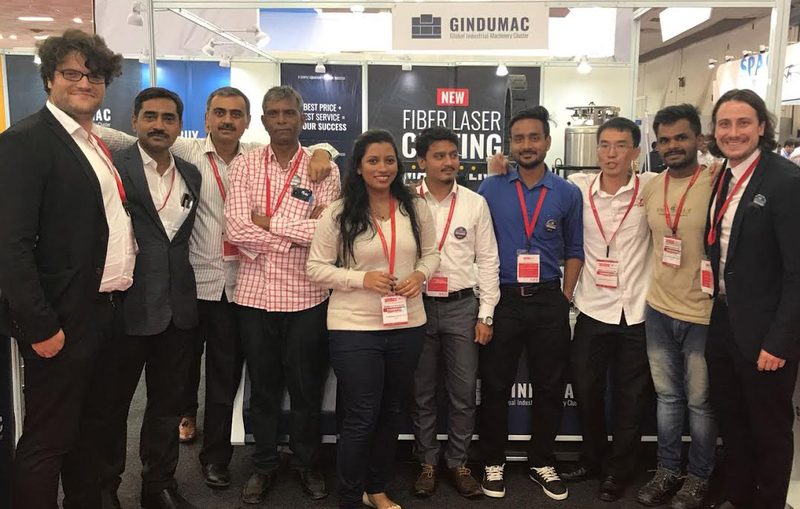 At AMTEX 2018 in New Delhi, India, we have been exhibiting for the first time with our new GINDUMAC INDIA PVT. LTD. At our booth we showed the full portfolio of our products and services: Used Metal Working, Sheet Metal and Plastics Processing Machinery, New GINDUMAC FIBER LASER Cutting Machinery, Metalix CAD/CAM Software and MACHINE SPECTOR Real-Time Monitoring Solution. A special highlight was the live demo of the new GINDUMAC FIBER LASER Cutting Machine. Exclusively for Indian manufacturers we now offer under the GINDUMAC brand high efficient new machinery solutions for fiber laser cutting processes from 500 to 6000W laser output power.